Mental health issues like depression and anxiety can have far reaching consequences for a business’ productivity, its ability to innovate, and its competitiveness. Dr Tyler Amell of CoreHealth Technologies, speaking recently at the 2018 Australian Rehabilitation Providers Association (ARPA), stressed that mental health issues have big implications for a business’ bottom line. Poor mental health can increase absenteeism and employee turnover, and reduce productivity. This issue is particularly relevant to SMEs, not just because it’s universally important, but because they enjoy a notable advantage over their larger counterparts. A recent study by SuperFriend found that small and medium sized businesses performed noticeably better at maintaining the mental health and wellbeing of employees. This is, despite the fact that large businesses are far more likely to have programs designed to improve and maintain mental health at work. By understanding why this might be the case, SMEs can take steps to further boost their productivity and growth. Despite an increasing awareness of mental health issues in the workplace, company programs to improve mental health and wellbeing have largely continued to be treated as employee perks. While this doesn’t necessarily make them any less effective, it does place less emphasis on their importance than they deserve. Stress is the single most significant reported cause of work-related depression and anxiety, and is known to weaken the immune systems of affected individuals. This can result in drastically reduced productivity and general effectiveness. To manage this, many businesses increasingly provide onsite counselling, childcare facilities, flexible working, healthy snacks, and gym memberships for their employee s. Many also focus on managing employees’ work-life balance directly by preventing access to email after work hours, or forcing employees to take vacation time to disconnect from work stress. This allows them to reduce stressors, and to improve their health to make them better able to bear up under pressure. In discussions about workplace stress and associated mental health issues in popular media, the focus is often on the explicit work demands of challenging jobs. While overwork is a major stressor on its own, it often traces its roots back to a more systemic social problem. Employees rely on their various relationships to their coworkers and managers to adapt their workloads, to solve problems, and to manage complex issues cooperatively. A toxic company culture can deteriorate those relationships, and make good communication difficult or impossible. Making company policies to improve that social environment inherently promotes better communication, and empowers employees to better manage their own mental health at work. 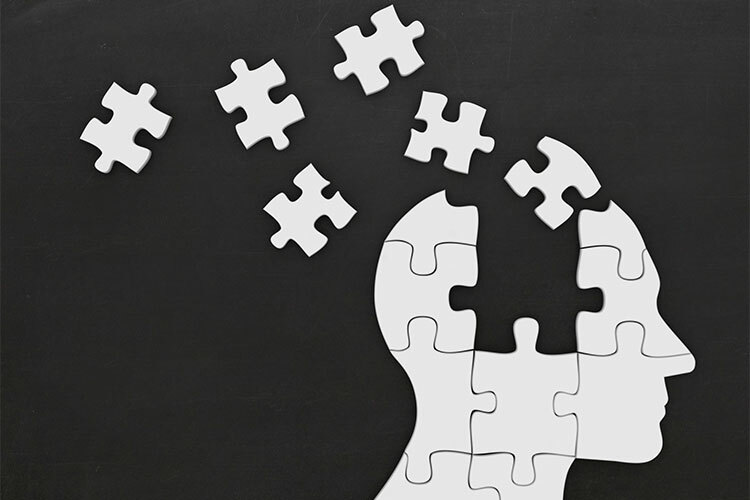 Given that many of the efforts that businesses make to improve mental health are time-consuming and costly to implement, it’s no surprise that many small businesses simply don’t have such programs or policies. Knowing that, it might seem odd that small business employees actually score slightly better than those of large enterprises on the national workplace mental health and wellbeing index, at 67 compared to 63 out of 100. The answer as to why lies in how these businesses are structured. Business owners and decision-makers in SMEs usually still know and directly interact with employees at every level of their organisation. As a result, they can gauge how team members are doing on a personal level, and can take direct action to deal with problems on their own initiative. Moreover, they have a personal interest in creating a work environment that is low-stress, comfortable, and friendly for themselves and the people they interact with. Employees often have heavy workloads, but also operate in multiple roles, and interact with a variety of people on a day-to-day basis. This gives them the opportunity to develop their skills in many different ways, while building new connections. Big businesses, on the other hand, are necessarily bureaucratic, with decision-makers relatively far removed from their lower-level employees. Responsibilities tend to be well-defined, and employees have little control over their workflow. This works to naturally evoke the sense of being a proverbial cog in a larger machine. Employees tend to have more specialised roles, and may only interact with a few coworkers on a regular basis. This lack of connectedness and loss of employee agency is inherent to many large enterprises, and difficult to address once it has been established. Both small and large businesses have a lot of room for improvement. Only small businesses, however, benefit from flatter hierarchies, a lack of bureaucracy, and flexible roles that allow workers to collaborate better, to build social relationships at work, and to communicate more effectively with business leaders. By making the extra effort and investment to develop the institutional mental health support that bigger businesses rely on while they’re still small, businesses can add to their existing advantages to create a much healthier, happier workforce. This, in turn, gives them an advantage in attracting high-quality talent, driving innovation, and dealing with external stressors.